All images are copyrighted by James Mattil. To purchase rights to an image please refer to the "About" page, including a list of stock agencies representing XPOFOTO. Due west of the Salton Sea is the little known Anzo-Borrego desert, tucked into a sheltered valley that is home to spring wildflowers and abundant orange groves. 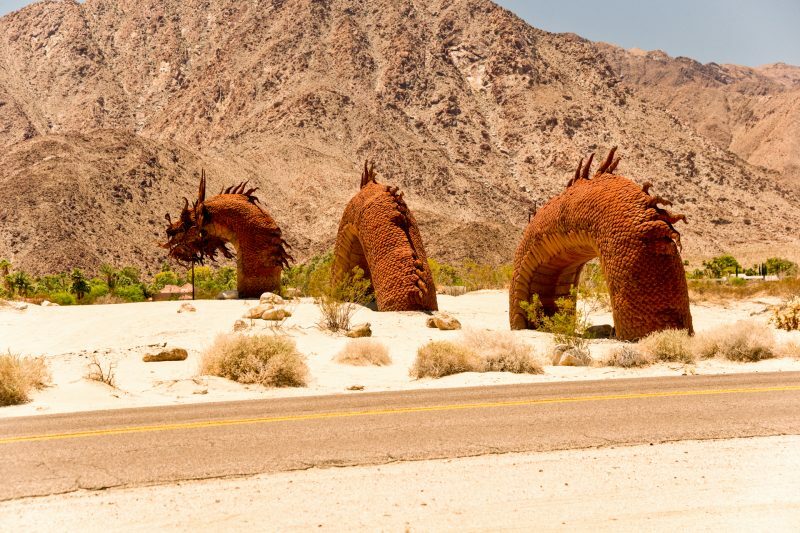 But its most memorable features are the unusual metal sculptures at Galleta Meadows created by artist Ricardo Braceda. These other-worldly creations were commissioned by Dennis Avery founder of Avery Labels. 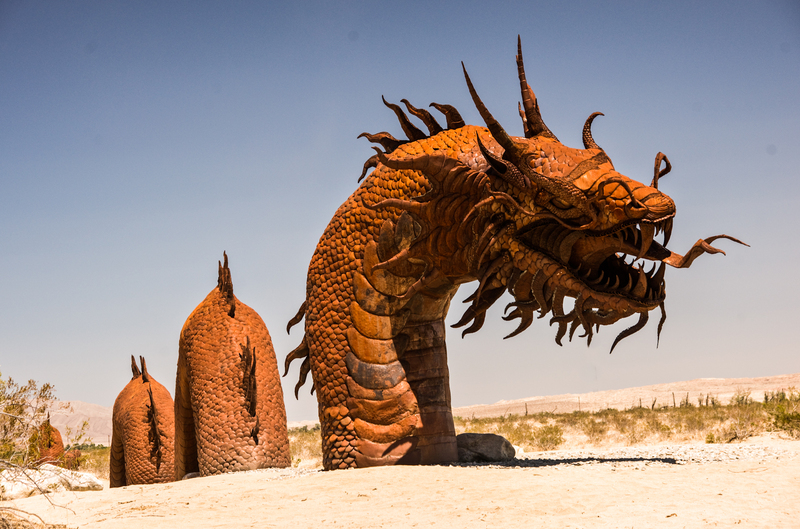 Huge dragons, serpents, dinosaurs, giant scorpions and their friends are sprinkled around the desert sands, making this was of the most unusual art museums to be found anywhere. Nearby, the small village of Borrego Springs seems lost in time as well, a pleasant throw back to a simpler time. After a brief getaway to Anzo-Borrego, it’s tempting to rush back to Pam Springs without taking time to stop a date ranches near Mecca, California near the northwestern end of Salton Sea. The attraction: delicious, refreshing date shakes! They’re really good and its interesting to see majestic, fruit-bearing date palms just like those in Mesopotamia (Iraq) and throughout the Middle East.